In many ways I think Valentine’s Day was created by dogs. No other creature is able to love, forgive and trust so genuinely and unconditionally. 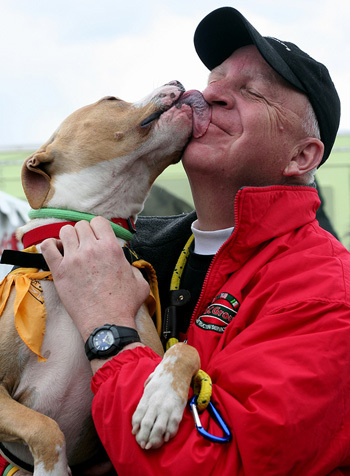 As I read through the many wonderful stories on the StubbyDog site, this theme comes up over and over again – amazing dogs who teach us what love is really all about. This Valentine’s Day, I ask you to think about honoring our four-legged friends by giving a gift in their honor to StubbyDog. 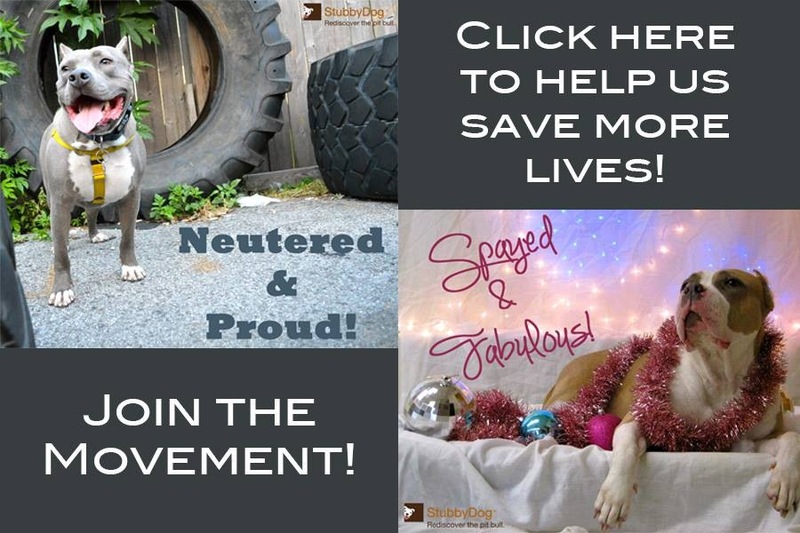 Whether a one-time or a monthly donation, your gift can help us continue our work to change public perception and improve the lives of pit bulls everywhere. As we are full blast into 2012, we are very excited about some of the campaigns we have planned. We will continue to reach out to a broader audience and better provide you, with even more resources and action challenges to empower you all to take a more active role in improving the future for our dogs. We will continue to provide you with the stories and signature StubbyDog content you’ve grown to know and love (plus a few new surprises). From the recent victory in Ohio with the repeal of the statewide “vicious” designation automatically placed on “pit bull” dogs, to the quick termination and apology from McDonald’s for their irresponsible radio commercial. 2012 is already proving to be The Year of the Pit Bull. As a result of your support and participation over the last year, we’ve already seen so many examples of the impact of our work. Minds are being changed on both, an individual and organizational level. A growing number of advocates and ambassadors are sharing our message, so the truth behind the media hype and stereotype is dispelled. Please help us continue this trend on an even larger scale in the year ahead. 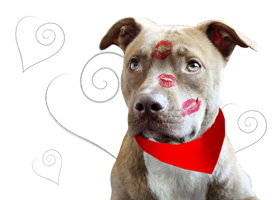 We are confident that a dog near you will give you with a big, slobbery Valentine’s Day thank you kiss – which, let’s be honest, is probably the best Valentine’s Day gift any of us could ever hope for! Donate today, and thanks for being our Valentine! The Year of the Pit Bull! Love that. Let’s hope people continue to learn why this breed used to be America’s nanny dog.